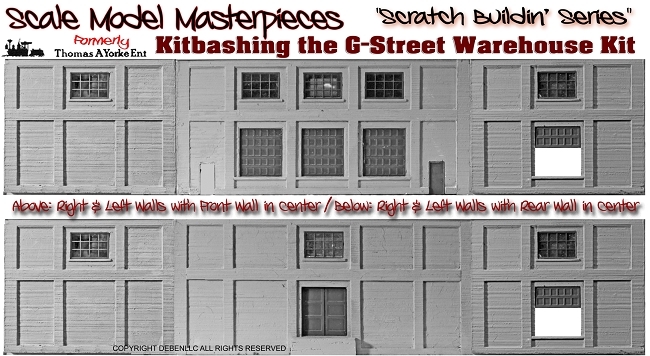 Buy Two Kits create an original Kit-bash! 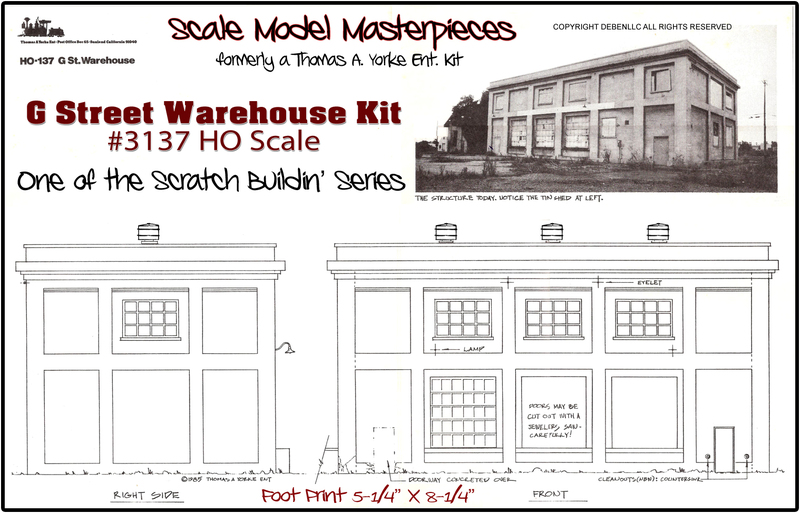 G-Street Warehouse Kit - New Release! 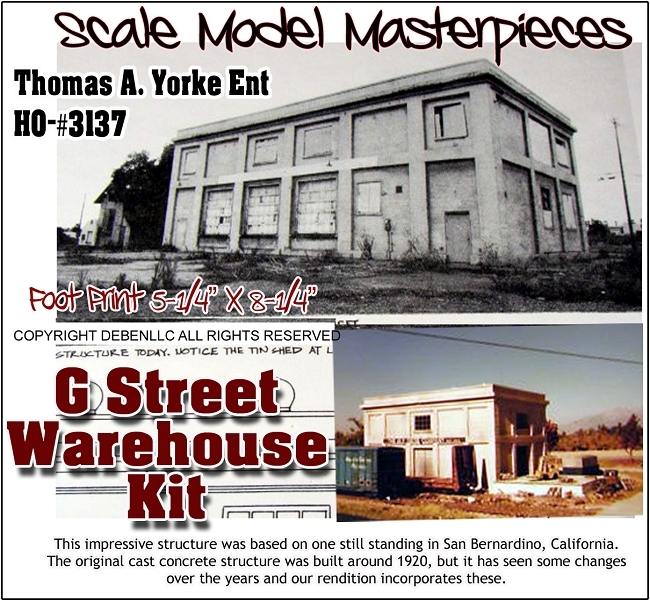 This impressive structure was based on one still standing in San Bernardino, California. 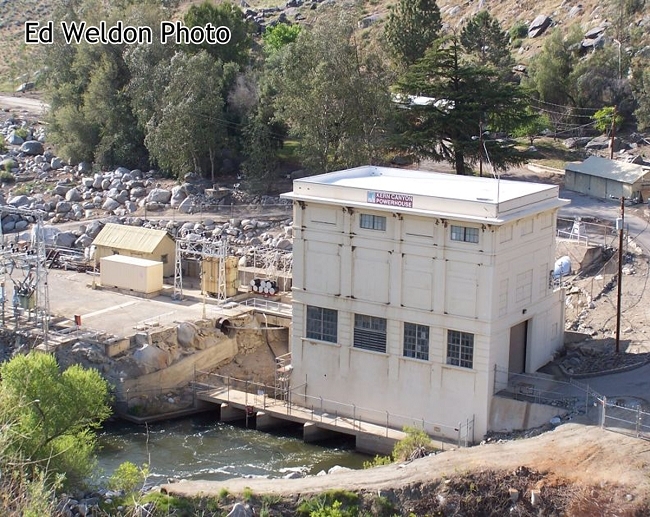 The original cast concrete structure was built around 1920, but it has seen some changes over the years and our rendition incorporates these. Our patterns reflected the uneven and rough wooden form board impressions as well as "oozing" concrete from between them so typical of cast concrete structures. 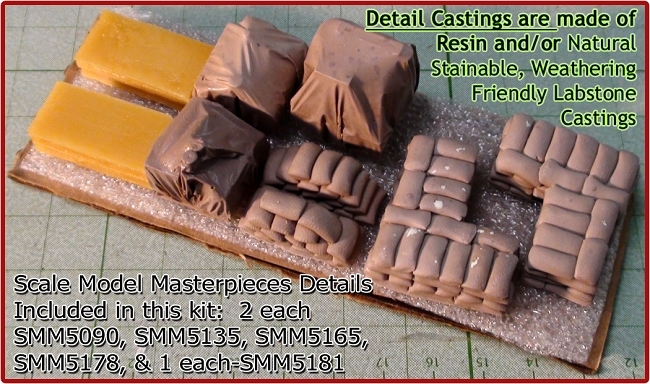 The castings from our "Original Thomas A Yorke masters which reflect all of this detail and more. This kit is composed of eight major Hydrocal castings including the roof with parapet wall and "tar paper" roofing already cast in place - simply paint & weathering with Doctor Ben's Weathering Stains. 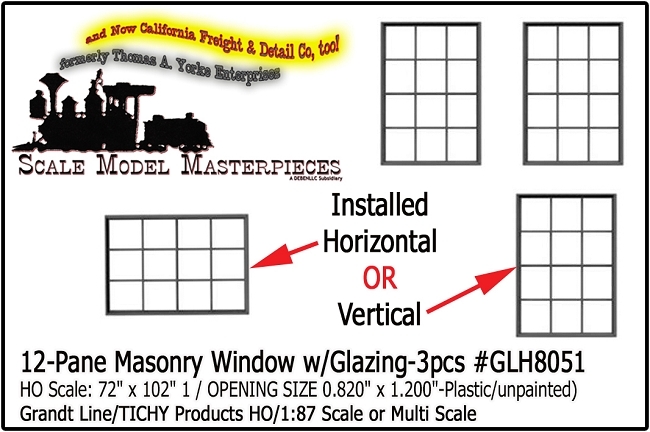 Grandt window castings two loading docks, chain/security fence, and Scale Model Masterpieces details (listed below), Cyclone Roof Vents & Roof Access Hatch are included along with our usual comprehensive instructions and plans plus a color photograph for a truly easy to assemble kit. 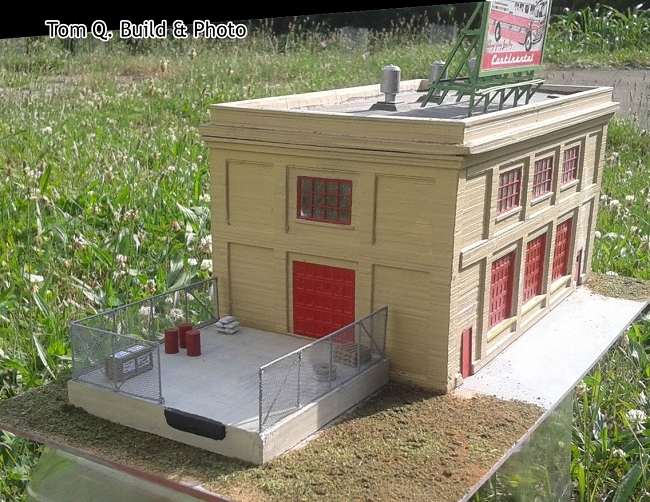 The scale 96' x 40' size will dwarf two 50' box cars alongside! 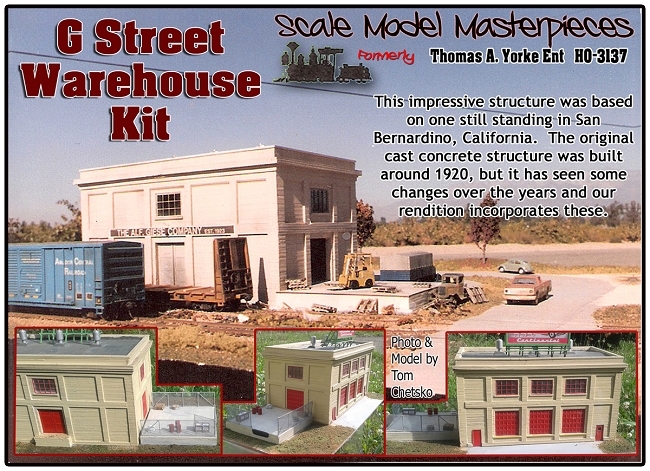 This kit comes with the finest Thomas A York Hydrocal castings including a very nicely detailed stone and brick original carvings. 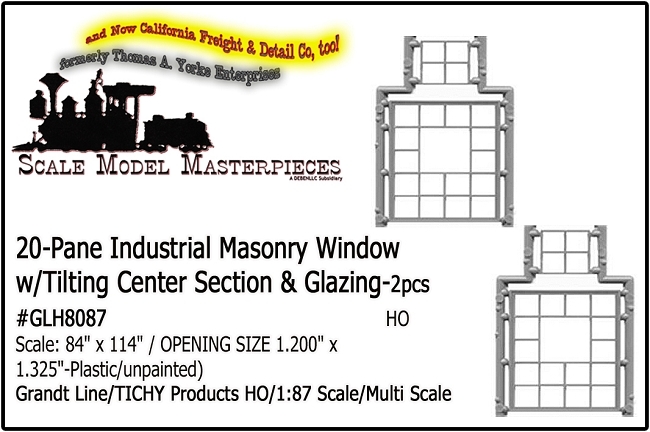 The windows, doors, and a bunch of other stuff including Scale Model Masterpieces Details 2 each of the following- SMM5090, SMM5135, SMM5165, SMM5178, & 1 each- SMM5181 and Grandt Line/Tichy Pallets (12pcs). NOTE: This is a Very Heavy Kit-4 Pounds! 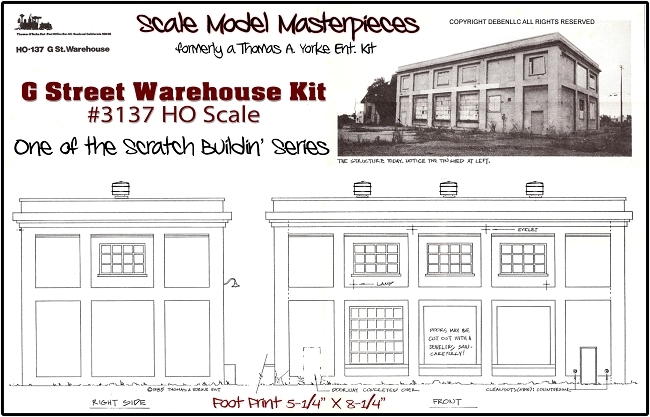 At left is a couple of suggestions of how to "kitbash" the G-Street Warehouse into a Backdrop kit. Don't let our suggestions limit the possibilities; it's your pike, arrange them to suit your needs! Also available are Concrete Backdrop Kits #1 & #2 ... no limits to the possibilities! 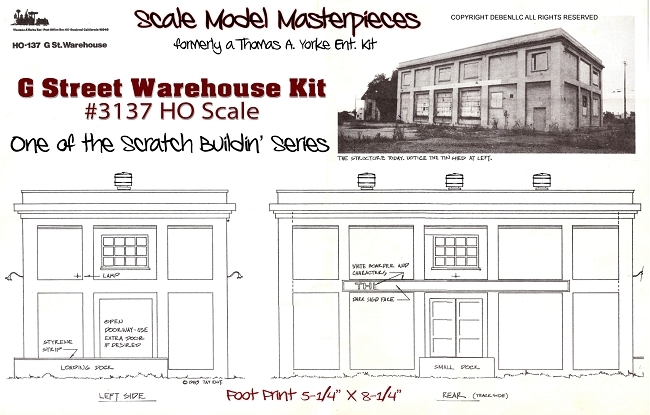 As part of our Upcoming "Scratch Buildin' Series", we will offer all four walls, roof, loading docks and doors of this kit for individual purchase. Interested? Let us know!